Lung cancer is that cancer which related to respiratory system. It can occur anywhere in the airways or lungs two lungs in the chest- one is the right side and the other is the left side and these lungs are surrounded by a thin cover (pleura), which protect the smooth movement of the lungs during breathing. Impure blood is pumped into the lungs from the right side of the heart. In the lungs, blood gets oxygen from air and releases carbon dioxide into the air. Purified blood reaches the left side of the heart from the lungs so that it can be supplied to the body. Dr. Y.N. Chaubey is the Best Lungs Specialist in Lucknow who performed many successful surgeries related to chest and very few surgeons in Lucknow who have the experience of performing successful lung transplantation. 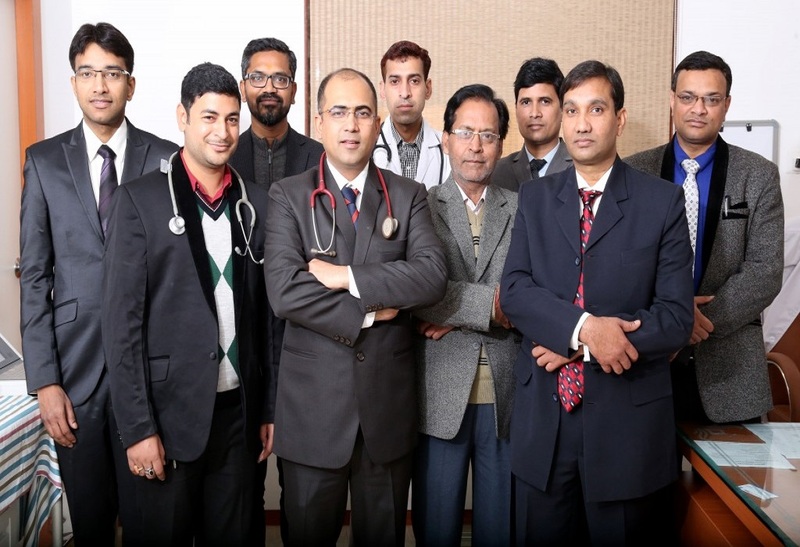 The department of Pulmonologist in Lucknow at Medox Hospitals focuses on the management of disorders relating to the respiratory system, including the lungs, upper airways, and chest. The Pulmonologists, working together and provide the best treatment related to lungs diseases such as Connective Tissue related lung diseases, Sleep Apnoea (OSA/OHS/Obesity Related Lung Diseases). Our Lungs Specialist in Lucknow takes care of the entire solutions, which is related to medical issues because the preservation of the good health is easier than the cure of the diseases.